Feeling a throbbing pain in your swollen or red gums? If you’re sick of putting up with pain and want to find a solution (and discover the cause!) of those inflamed gums, make a resolution this year to take care of your oral health and teeth! You might have noticed the pain building during the silly season, but shrugged it off and blamed it on a less-than-frequent intake of naughty sweets and a couple of extra glasses of prosecco. But now that the holidays are over, you’ve noticed the pain has not subsided – and it may have even gotten worse. Nobody wants to start the year with red, swollen, infected, or inflamed gums: better schedule a dental check-up immediately with your Armadale dentist! If left untreated, as your gum problem may turn into a serious gum disease that can cause dire complications for not only your mouth and teeth, but your entire body. A red, swollen, and painful gum line can lead to serious gum diseases including gingivitis and periodontitis. Gingivitis is known to be one of the earliest signs of gum disease. Proper brushing, flossing, and regular visit to a dentist prevent plaque build-up that leads to various bacteria causing inflamed gums. Left untreated, gingivitis can further advance into periodontitis where tissues, bones and gums are destroyed resulting to tooth loss. 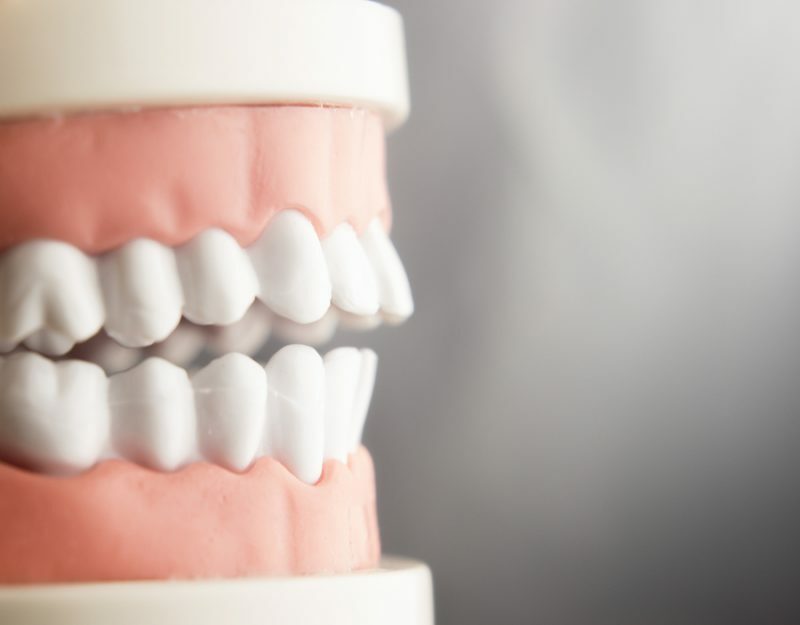 So if you want to keep your oral health in check free diseases and bacteria, let our Armadale dentist keep your teeth and gums healthy all year round. Regular, effective brushing and flossing prevents plaque build-up that causes gum disease. Without regular dental cleaning and check-up, this plaque can further develop into tartar, which is the hardened form of plaque. Left unchecked, plaque affects the gums and bones surrounding your teeth leading to serious gum diseases. Periodontal disease is mainly caused by serious illnesses such as diabetes, cancer, and AIDS. People with such conditions are at higher risk of developing gum infection and diseases due to complications and other medical treatments. Hormonal changes, especially to women, can cause gum sensitivity and serious gum diseases. Well, some hormones increase blood flow and supply around the body – including the gums. As such, the gums become more sensitive and react to even the smallest of irritants. People who feel stressed often experience a higher chance of inflamed gums. This leaves your gums more vulnerable for bacteria to thrive, thus leading to gum disease. You don’t have to wait until you feel that throbbing pain to take action towards maintaining healthy gums. Are you experiencing any of the following symptoms? If so, contact your Armadale dentist immediately! This is one of the most obvious signs something may not be quite right with your gums. If you notice blood when your brush or floss your routine, either your brushing is too rough, or you might be experiencing the early signs of gingivitis. Haven’t eaten onions or garlic recently? Bad breath is more than just a sign you’ve consumed a smelly food. If co-workers and friends are keeping their distance, bad breath could be a sign of gum disease. Tooth loss is one sign of a serious gum disease called periodontitis. Poor brushing and flossing techniques can cause plaque build-up, and harmful bacteria can weaken tissues and bones that support the teeth. Over a prolonged period of time, this can lead to loose teeth. Never ignore pus or abscess in your gums as this is a sure sign of a bacterial infection between your teeth and gums. Excessive plaque build-up can lead to pus which in turn may lead to severe gum infection. Make sure to schedule regular dental check-ups, especially if you experience teeth sensitivity. Plaque and tartar build-up can weakens your gums and make your teeth and gums sensitive to hot and cold temperatures. Sharp and dull pains whenever you chew is a sure sign of receding gums caused by gum disease. Chewing foods should not be painful. If you are experiencing sharp and dull pains in your teeth and gums whenever you chew, it is best to check with your dentist to discover what’s causing the pain. Prioritise good oral health to increase your chances of avoiding painful gum disease! The basic yet necessary oral care is proper brushing and flossing that gets rid of any plaque and tartar build-up. 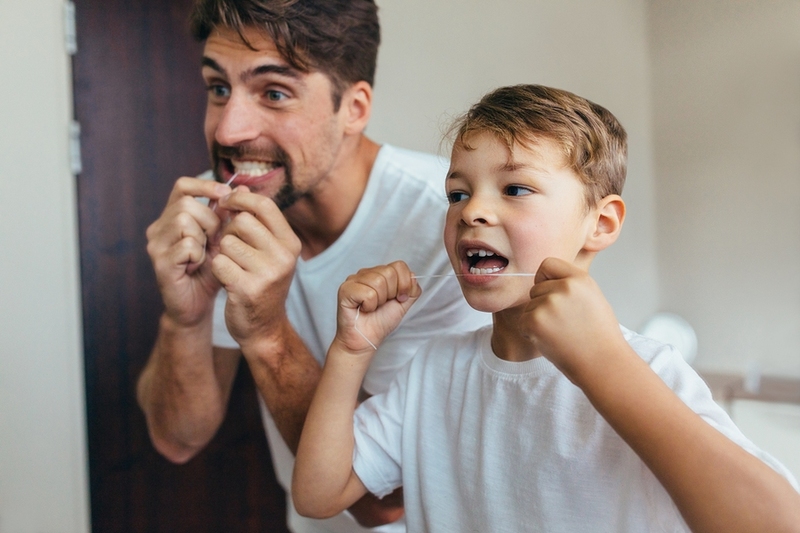 You should spend two minutes gently brushing each tooth from all angles, and then taking a further few minutes to gently yet thoroughly floss your teeth. Not only is it terrible for your overall health, but smoking can also increase the chances of developing gingivitis and other periodontal diseases. Smoking weakens the connection between soft tissue and bones in the gum, making it easier for bacteria to infiltrate, leading to infection. Eating nutritious food keeps your teeth and gums healthy. In particular, foods rich in vitamin C and calcium fight to protect and strengthen your teeth! Eat celery, carrots, and apples as well as milk, yoghurt, and cheese. Keep your teeth and gums in check by scheduling a regular visit to your dentist to detect any early signs of gingivitis and other periodontal diseases. Oral health professionals are experts in providing not only effective treatments, but importantly, effective diagnosis, too. So better put dental check-up on top of your list this new year and keep your oral health in good shape! Need an emergency dentist for inflamed or bleeding gums? Visit your Armadale dentist today! Regular brushing and flossing is critical, but visiting your dentist twice a year is the missing piece of the puzzle. Your Armadale dentist can help you prevent any tooth and gum infections by providing accurate diagnosis and thorough inspections to discover exactly what’s going on in that mouth of yours. So if you notice early signs of unhealthy and infected gums, visit Dental Care Group today. Your emergency dentist in Armadale treats any gum disease that can lead to serious tooth loss and other periodontal diseases. Book an appointment with our principal dentist Dr Zelman Lew today. Call our friendly team to book over the phone on (03) 9509 1500. Alternatively, you can book your appointment online here.